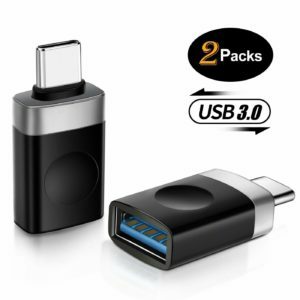 Basesailor USB C to USB 3.0 OTG Adapter (2 Pack),Thunderbolt 3 Adapter For MacBook Pro,Chromebook,Pixelbook,Microsoft Surface Go,Galaxy S8 S9 Plus Note 8 9,LG V40 G7 G6 Thinq,Google Pixel Slate is now available at Amazon.com for just $7.99 (REG $29.99) (As of 10 January 2019, 19:18 PST – Details) with $22.00 (73%) Savings and free shipping. 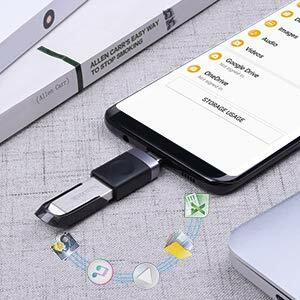 DATA SYNC AND CHARGE — By supporting USB 3.0 and OTG, this adapter allows USB-C equipped smartphones and tablets to read from removable media as the host, offering data transfer speeds of up to 5 Gbps between connected devices. It also supports up to 3 Amps of power output for charging your devices. 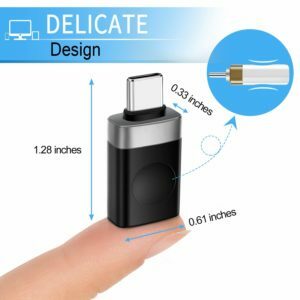 DELICATE DESIGN — Our plastic-bodied dongle is one of the most compact options on the market, measuring 1.28” in length by 0.61” in width. It occupies very little space and can plug directly onto the end of your USB-A hardware, so you won’t have to worry about carrying it around. 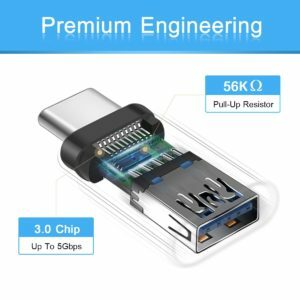 DURABILITY — The internals of the female USB port are lined with metal, ensuring that it doesn’t wear out over time, so no concerns about the durability of this adapter. 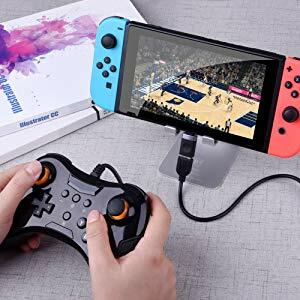 As for device compatibility, it supports USB-C devices including Chromebook Pixel, Apple MacBook, Galaxy S8/S8 Plus, Galaxy Note 8, Google Pixel/Pixel XL, Nexus 6P 5X, HTC 10, LG G6 G5 V20 V30, Nintendo Switch and More. WARRANTY — Please note that the USB-C (male) to USB-A (female) adapter comes with a worry-free 12-months warranty. We always strive to offer the best customer service and please don’t hesitate to reach out if there is anything we can help you with, we have you covered. 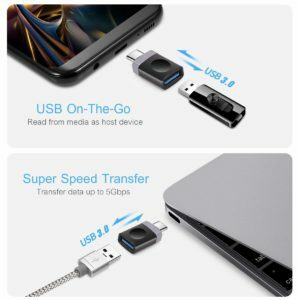 Thanks to the USB 3.0 support, the adapter offers data transfer speeds of up to 5 Gbps between connected devices and an maximum charging speed for all your usb type-c devices. 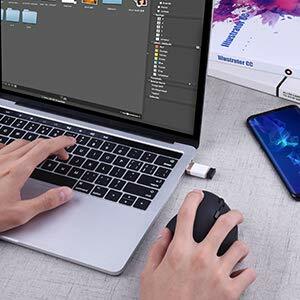 The plastic-bodied USB-C adapter is 1.28 inches from end to end, 0.60 inches wide, and barely thicker than the USB plug that you’ll connect to it. You can simply stick them onto the ends of flash drives, and not worry about losing your adapter. 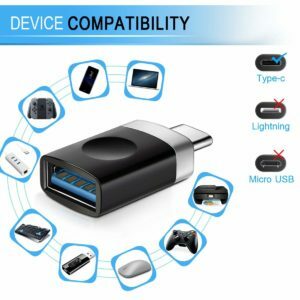 The product works with USB-C enabled phones and tablets as well as laptops and other devices, If you have any doubts about the compatibility issues, please reach out to us and we would love to help you figure it out.